Believe it or not, I do have a ton of recipes to review. I'm now over my morning sickness and ready to start cooking again. 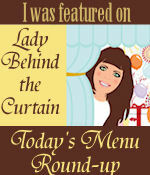 Just to warn you though, most of my recipes I will be reviewing are from Mel's Kitchen Cafe. She's a genius I tell you! After the meat has been cut into chunks, pat it dry with a paper towel and season all the pieces with salt and pepper. In a large skillet, heat 1 tablespoon of the oil over medium heat until the oil is rippling and hot. Cook half of the beef until it is well browned on each side, about 4 minutes. No need to cook it all the way through – just get some great brown color all around. Toss the meat in the slow cooker and follow the same process with the second half of the meat (you may need to add another tablespoon of oil to the pan if it looks a little dry). Remove the meat to the slow cooker, trying to keep as much oil in the pan as possible. Return the skillet to medium heat and add the onions and 1/4 teaspoon salt and cook until the onions are translucent and golden, about 6 minutes. Add the tomato paste and cook, stirring, for about 2 minutes. Slowly whisk in the broth, soy sauce, 1/2 teaspoon thyme and bay leaves. Bring the mixture to a boil and transfer it to the slow cooker, pouring it over the meat. In a large bowl, toss the carrots, potatoes, 1 tablespoon oil, 1/2 teaspoon dried thyme, 1/2 teaspoon salt and 1/2 teaspoon pepper. On the counter, lay out a large piece of heavy-duty aluminum foil (use two sheets of regular foil on top of each other if you don’t have heavy-duty). Place the tossed vegetables on one side of the foil. Fold the foil over the vegetables and crimp the edges really well to form a little foil packet that will fit in the top of your slow cooker. Stir the tapioca into the slow cooker. Place the foil packet of vegetables on top of the stew, cover the slow cooker, and cook on high for 6-7 hours or low for 10-11 hours. When the stew is finished cooking, carefully remove the foil packet from the top of the stew. Discard the bay leaves from the stew. Carefully open the foil packet (be careful of steam that may escape as you open it!). Return the vegetables and any juices to the slow cooker and gently mix them into the stew. Stir in the frozen peas and let them rest in the stew for 5-10 minutes, until they are heated through. Serve. Thanks Debbie- you're always my cheerleader! So glad you loved this stew, Jana! I'm glad I found the recipe. I just can't say enough good things about your site. I made Beef Stew in the crock pot today. 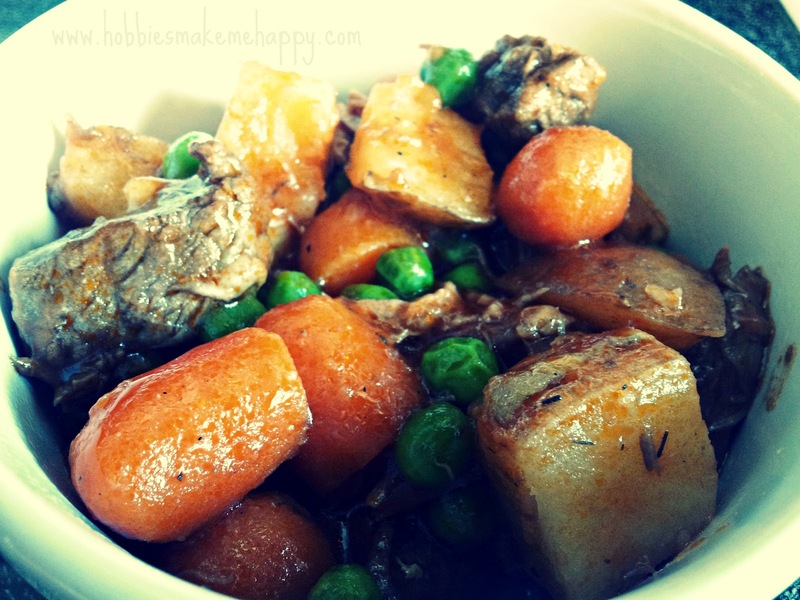 Just the meat, carrots, potatoes, onion and the packet from the store that says beef stew. haha Yeah, I was sort of disappointed. I totally should have used a yummy recipe like this! Boo on packets! I actually have a beef stew packet but have never used it! Glad to know it's not worth it.